Most of the year I go about my business posting helpful tips and not asking anything in return. As we approach my “big season,” I’m going to ask my friends for a little help. Although a lot of what I do involves blogging, legal tips, and industry advice, my primary revenue comes from Sunshine Rewards. It’s what keeps me in this business and gives me the time to do all of the “free” stuff I do like the blog posts, podcasts, speaking engagements, etc. They say if you want something, you have to ask for it. So I am asking. If you shop online, will you give Sunshine Rewards a chance this holiday season? You get $5 just for signing up. If you only use coupons, that’s great! We have coupons you can use to save yourself money (and help me make some). 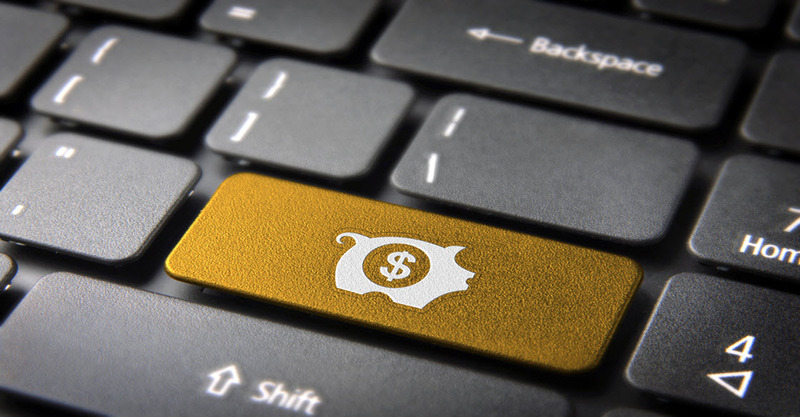 If you like getting cash back on your purchases, even better! I split all of my commissions with you. 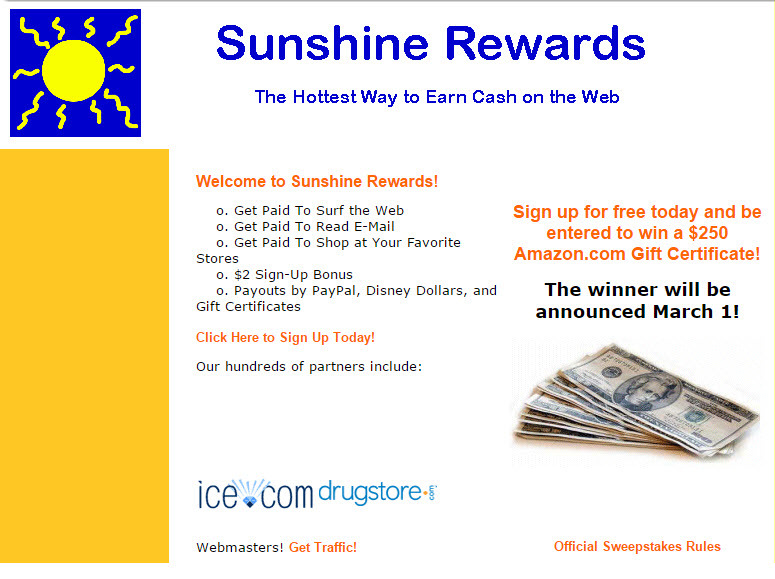 This month my company Sunshine Rewards celebrates 10 years in business. Although I have been in affiliate marketing longer than that, for some reason this milestone is the one that is most important to me. It’s meant weathering a lot of storms and building partnerships that are the foundation of everything I do. When we started SR, my husband Kevin and I were armed with some technical skills, a little knowledge about affiliate marketing, and a desire to create something that would get us out of the $100K debt we found ourselves in between college and law school loans, building a house, and having 2 kids in the first 4 years of our marriage. We knew that if we wanted to really change our lives, we had to do something BIG. This is how we did it. 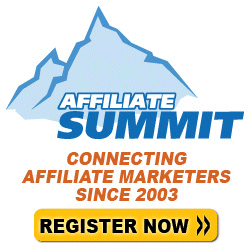 I’ve written many times about how much my company has grown as a result of my attendance at Affiliate Summit. A few months ago I alluded to an opportunity that came out of Affiliate Summit East 2012 that I was hoping would come to fruition soon. I’m excited to finally be able to talk about it. 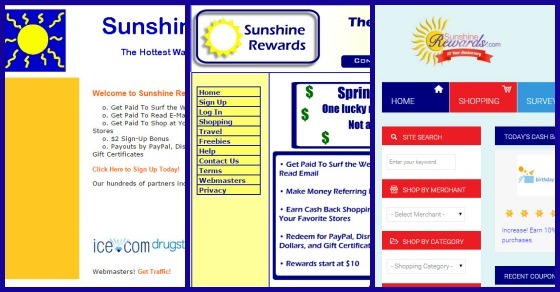 I’ve been running Sunshine Rewards for almost 7 years and am always looking for new ideas to take it in different directions or reach new audiences. When Carrie Rocha from Pocket Your Dollars asked if we could chat after breakfast one morning in New York about a possible partnership, I was intrigued. I’ve always admired the way that she runs her site and her no-nonsense approach to helping people save money. Long story short, after about a 30 minute meeting with Carrie I was emailing my IT guy asking him how long it would take to build a white label version of Sunshine Rewards for bloggers. Knowing that the 4th quarter would soon be upon us, we all jumped into action to turn an idea into a joint venture. We knew that time was not on our side, but we had a very similar vision for launching the first phase of the site. Less than 2 months after that meeting, Pocket Your Dollars Rewards officially launched. It doesn’t have all of the bells and whistles that we know it will eventually have, but it’s a good test for both of us to see what we can do with it. Carrie has a new value proposition to give her members, and I have new customers for my merchants. Together, Carrie and I can continue to provide the kind of personalized customer service to which our customers are accustomed. Besides the obvious benefits, the process has helped me view Sunshine Rewards with fresh eyes. Do people really use certain features? How much time do we spend chasing missing credits? How can we streamline our processes and make our site more inviting? These are things I should have been considering all along but never seemed to be a priority. I’m incredibly excited about this new venture and seeing how it can help both of our sites grow. I’m sure that there is much for us to learn from each other. If the success of my other joint venture that grew out of Affiliate Summit (Wine Club Group) is any indication, it is going to be a terrific Q4! When Is Free Shipping Day 2009? I’ve been hearing a lot of talk amongst my friends about the alleged “Free Shipping Day” coming up in December. As someone who has worked in online shopping for years, I am here to tell you that you are asking for trouble if you wait for “Free Shipping Day” to do your online holiday shopping. First of all, many merchants do free shipping year round. Even more merchants will be running free shipping as their holiday promotions starting on Black Friday. At Sunshine Rewards alone we have hundreds of free shipping deals. And we only have about 700 merchants total that we work with. Take a look at the companies that are already offering free shipping of some kind. Which other ones could you be waiting for? Second, check out the shipping schedules for most merchants. Free Shipping Day is supposed to be December 17. That’s just 8 days before Christmas, including a weekend. Most merchants will tell you that if you want to use standard shipping, you need to place your order before December 17 (especially if the order is personalized in any way). Third, even assuming that the store you are wanting to order from will still be shipping Christmas gifts by the 17th, do you want to a) take the chance that the items you want will be sold out, or b) take the chance that UPS or Fed Ex will be even a day late in getting them to you and your gifts will not arrive by Christmas? Been there, done that. I’ve even done the “guaranteed to be delivered by Christmas” thing and ended up getting the gifts a day or two later. It just isn’t worth the risk. Lastly, free shipping often comes with strings. A free shipping coupon won’t do you any good if it only applies to a minimum order and you won’t be placing that minimum order. You would have been better off with a percent or dollar off coupon that applied to your minimum purchase. There’s a lot of hype surrounding holiday shopping and every year there’s something new added to it– Black Friday, Cyber Monday, Green Monday, now Free Shipping Day. The bottom line is that there will be good deals from Thanksgiving through the end of the year and some deals that will be extra good because they are loss leaders or in limited supply. Do your homework and scope out coupon sites, cash back shopping sites, etc. rather than getting caught up in when everyone says you should be shopping. And don’t wait until the last minute unless you like taking risks with your gifts. I was in Facebook tonight creating an ad for Sunshine Rewards when I saw the “coupon” button under Funding Sources. So of course I Googled “facebook ad coupon.” Much to my surprise, there were quite a few out there. However, most were for people brand new to Facebook ads. 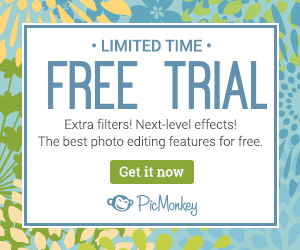 Because I have created a Facebook ad before, I could not use them. Then I came across people talking about getting a $100 Facebook ad credit for signing up for the Visa Business Network on Facebook. Sure enough, after I added the application and completed my profile with them (which took about 5 minutes), I received an email with a coupon code for a $100 Facebook ad credit. I entered it into my account and it is showing up. I can’t speak to whether or not the ads will actually work, but I liked that I was able to use the “Social Actions” check box to tie my advertisement to people who are “Sunshine Rewards Fans” or part of the “Sunshine Rewards Group.” From my own use of Facebook, I know that seeing my friends’ names and pictures over the ads on the right does make me look at them more closely. So if you are looking for some free advertising, give the Visa Business offer on Facebook a shot. I’ll be anxious to hear what you think about the effectiveness of the Facebook ads. And let me know if you come across mine!